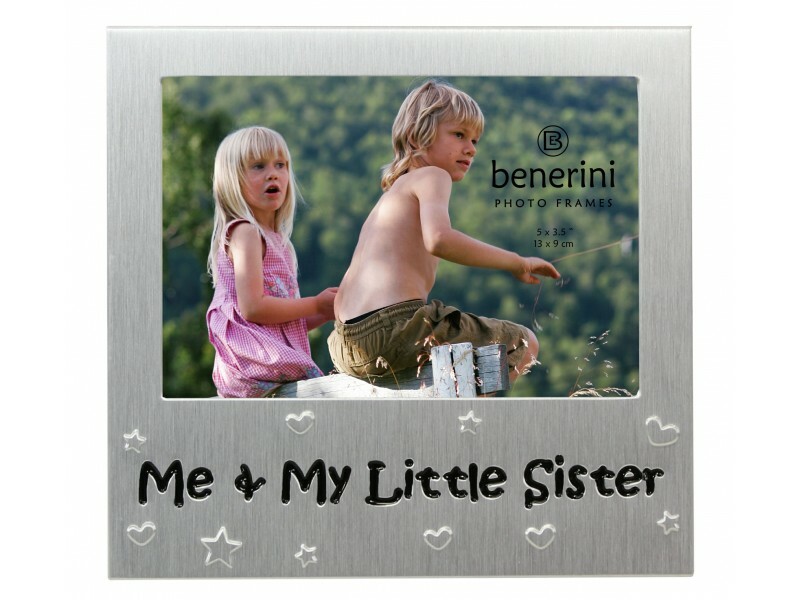 Your little sister is special so why not give her this Me and My Little sister photo frame with a picture of both of you in. 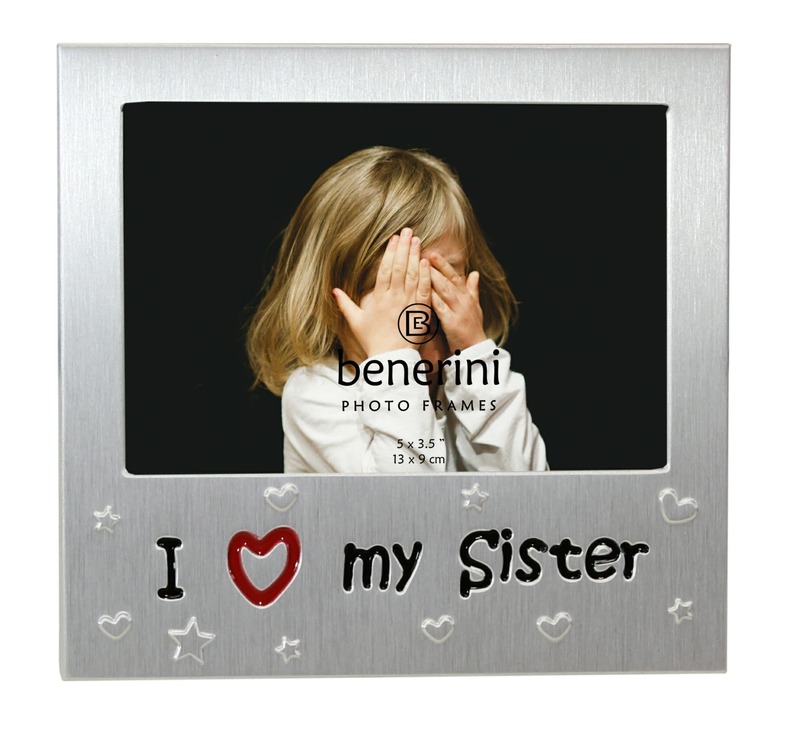 This lovely present for sister is made of superior quality satin silver colour aluminium. 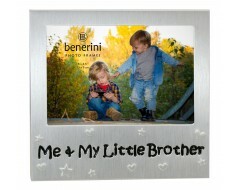 This great gift idea for sister holds a single a 5 x 3.5 inch (13 x 9 cm) photo. 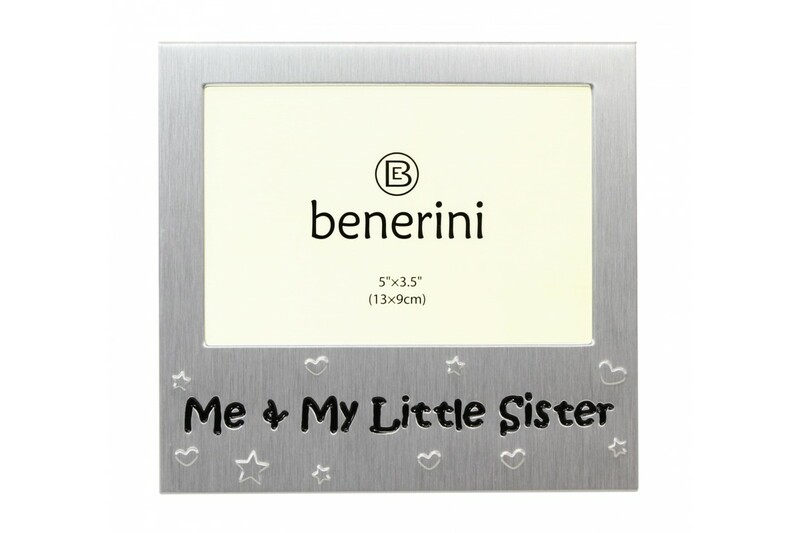 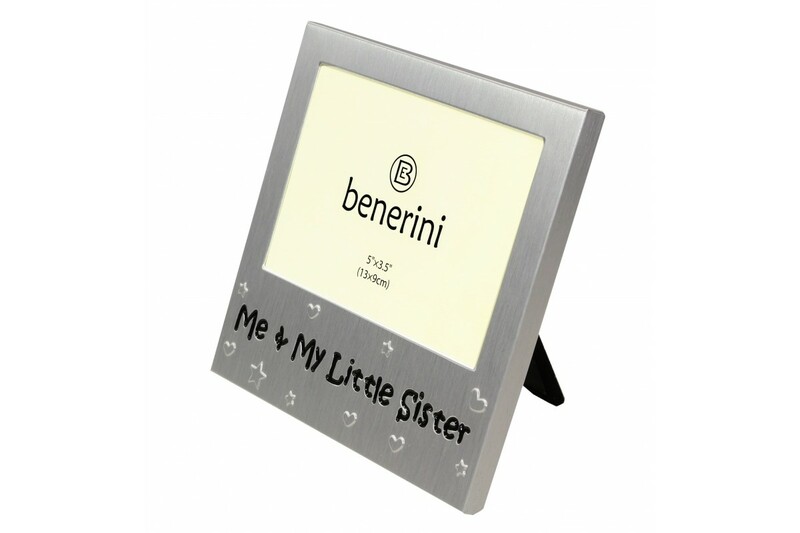 We can make it extra special and make it a personalised sister picture frame, with your own photo. 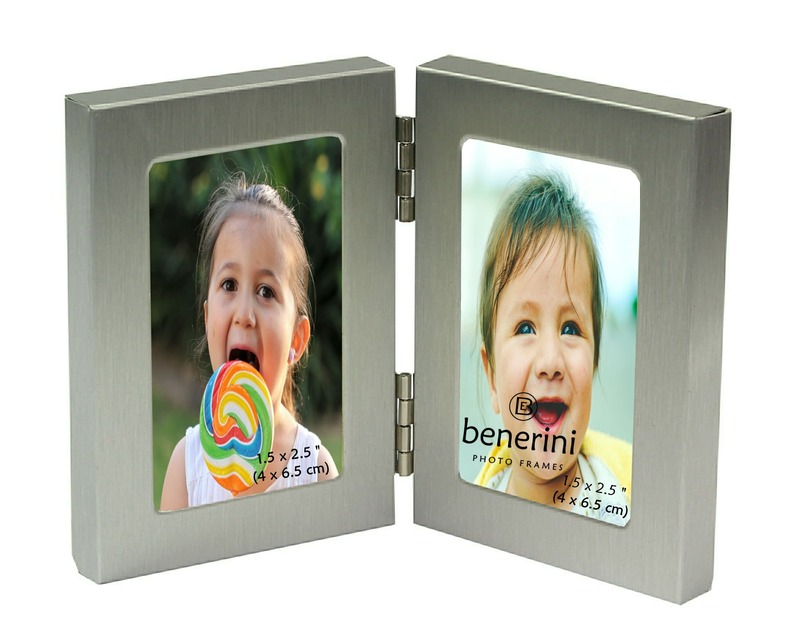 Just choose this option when making your purchase. 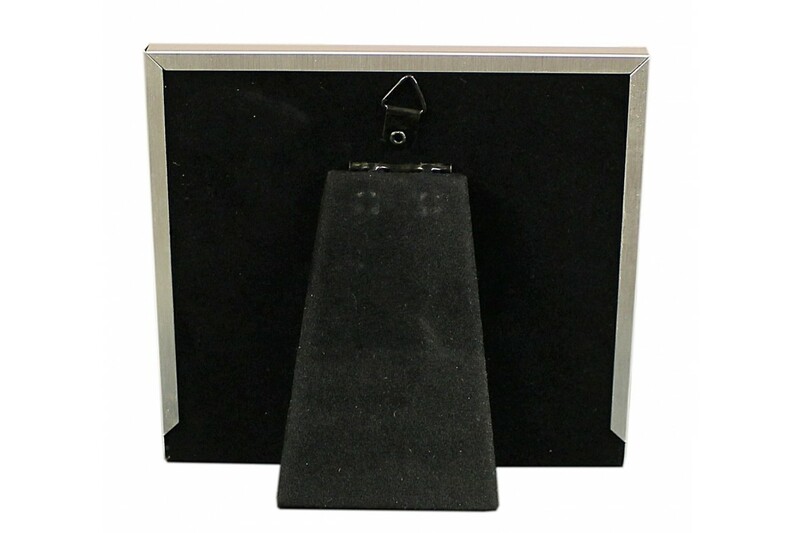 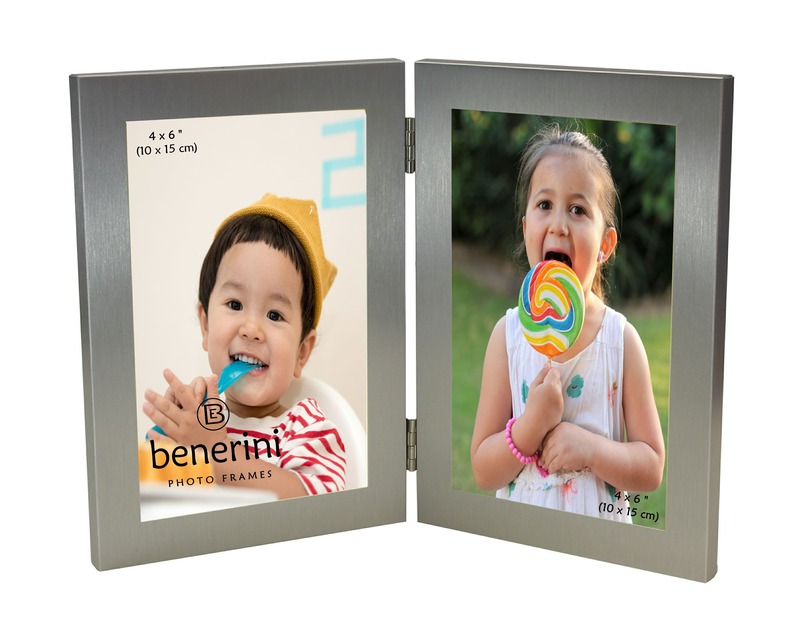 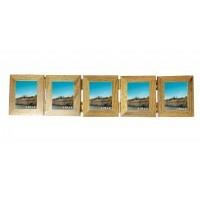 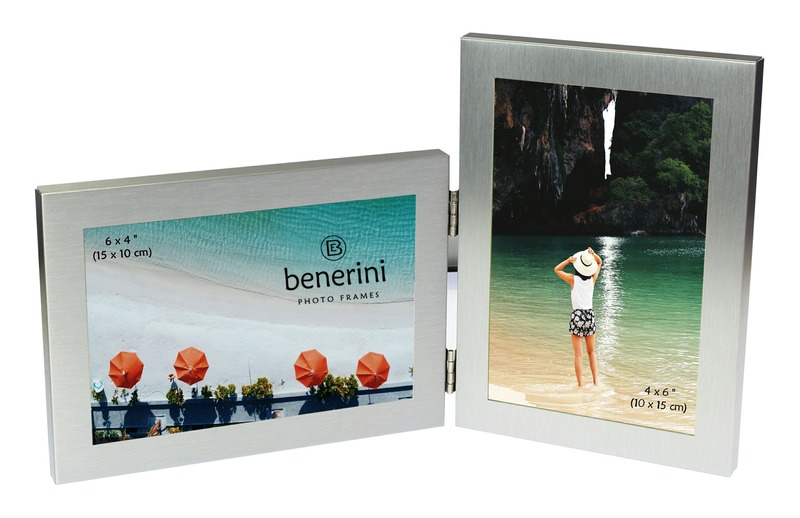 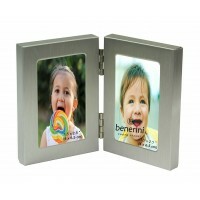 The back of the frame is covered in a black velvet effect material and just slides off for simple photo insertion. 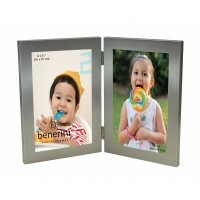 The front window is made of glass, adding to the overall quality and feel of the frame. 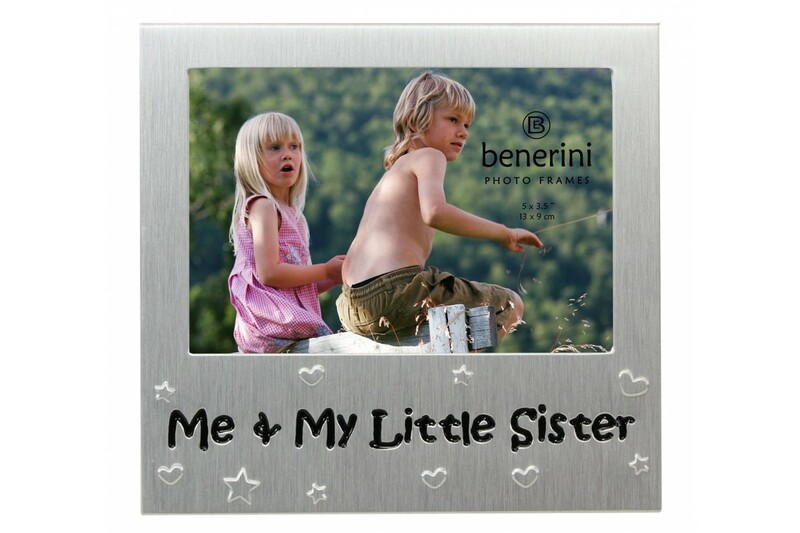 The picture frame is both free standing and can be hung on the wall as it has a hook on the reverse. 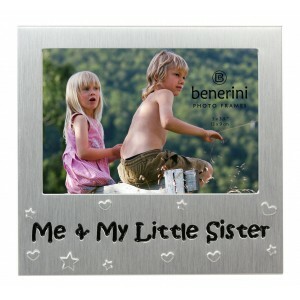 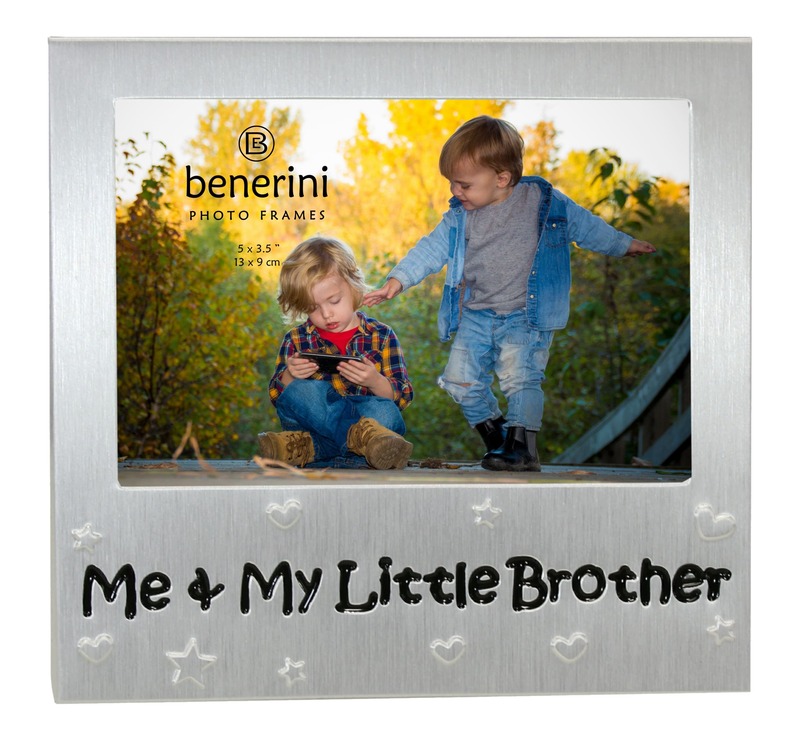 We also have a Me & My Big Sister photo frame available. 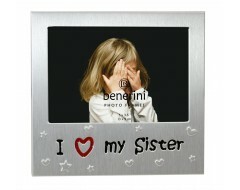 Note: This will not be shown!